I think I’m going to start with the why on this one. Because, honestly, much like a Jane Austen novel, the plot is really inconsequential to the enjoyment of this book. 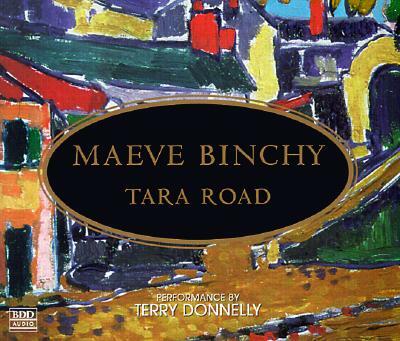 Earlier this year, Maeve Binchy released A Week in Winter, and people came in to snap it up, raving about her work. After the Northanger Abbey debacle, I was wandering the library looking for something light but good, and I settled on this. I knew nothing about it other than the author’s name. The jacket flap posed this as a post-divorce/traumatic incident/finding oneself house swap story. And while there was a house swap, it didn’t come until late in the novel. Which leads me to believe: the jacket flap writers didn’t know what to do with this one. See: it’s really just a portrait of a woman, Ria Lynch, and the life she led. She married the first man, Danny Lynch, whom she fell in love with, and thought she had a good life. But, as the reader finds out through the pages, that good life was all in Ria’s head. She was surrounded by friends, by her children, in this lovely home, and her husband was off… being a philandering Irish jerk. (He wasn’t stereotypical, though: the role of Irish drunk was given to one of Ria’s friends’ husbands, who thankfully, got his just deserts in the end.) It’s the portrait of a woman who makes choices and stands by them, and then when life throws her a curveball, she goes on. It’s a testament to the power of community and connection: Marilyn, the American Ria trades houses with at the end, is grieving for a dead son and has been unable to move on. But through the connections she makes by being a part of Ria’s life, she is able to find some healing. In the end, while “nothing” happened (well, lots happened, but it was everyday stuff) it was a compelling novel. A lot of that is credited to Binchy — she (again, like Austen) is a master of the domestic drama, painting gorgeous portraits of the Everyday — but I do have to admit that Terry Donnelly’s voice had me mesmerized. A light, lilting Irish accent; voices perfect for the characters; she had me staying in the car waiting for an “acceptable” stopping point. I should read (or listen to) more Binchy. Because my first foray was gold. I read a lot of her earlier stuff, but haven't read the last 2-3. Thanks for the idea of listening to them on audio!